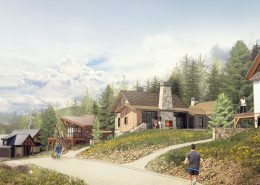 After owning ten different homes, the Weinbergs were finally ready to settle down and build their “forever” home in the Colorado Rocky Mountains. 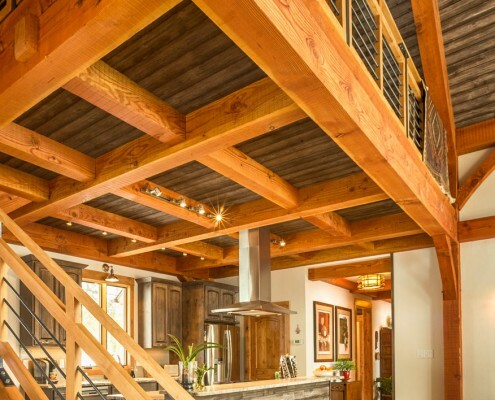 The two were just getting started in the process when they came across a neighbor’s house just a few streets away that matched the look and style they were so attracted to while browsing home designs online. 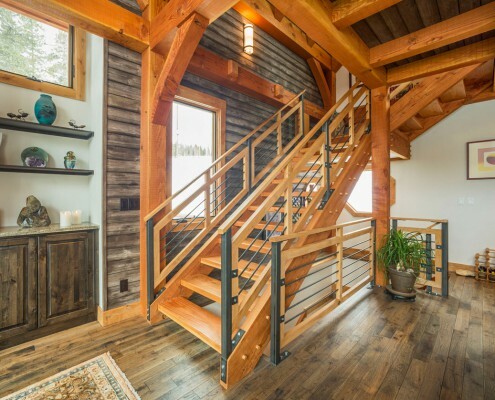 Feeling inspired, the couple decided to knock on their neighbor’s door to see if they could take a peek inside. 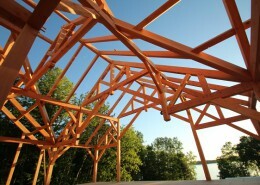 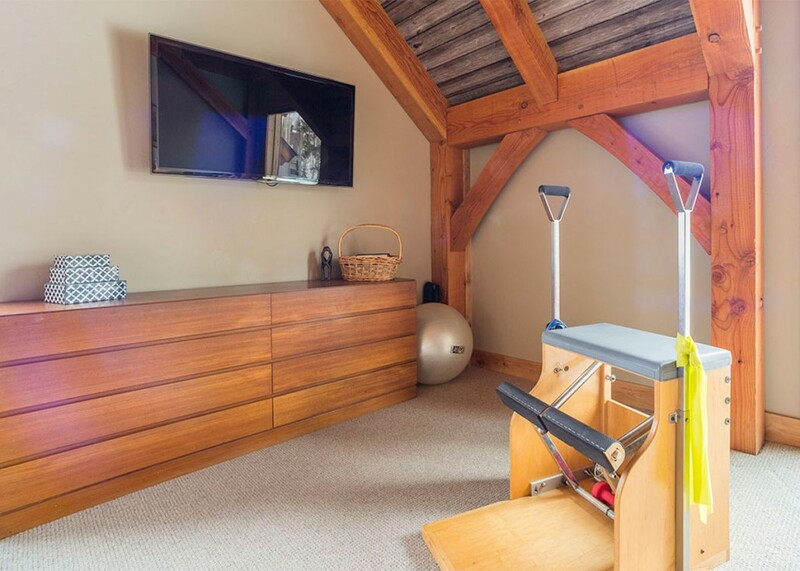 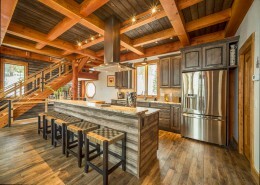 The homeowners were more than receptive and explained how they had chosen timber frame construction. 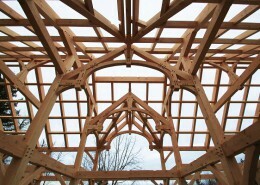 This was the beginning of the Weinberg’s timber frame love affair. 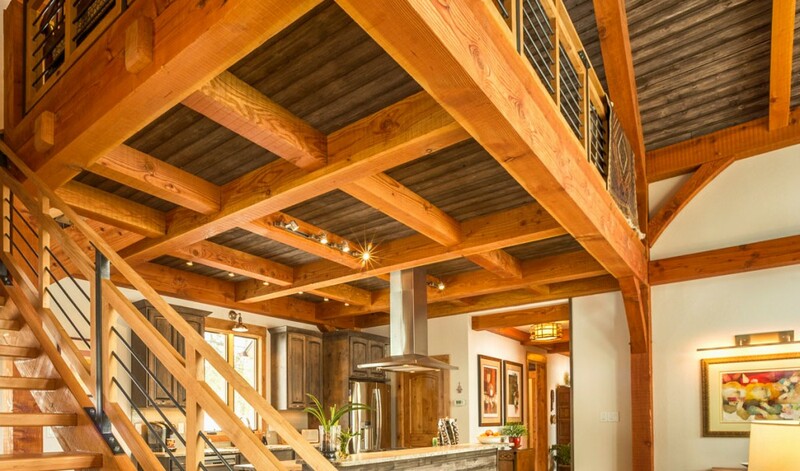 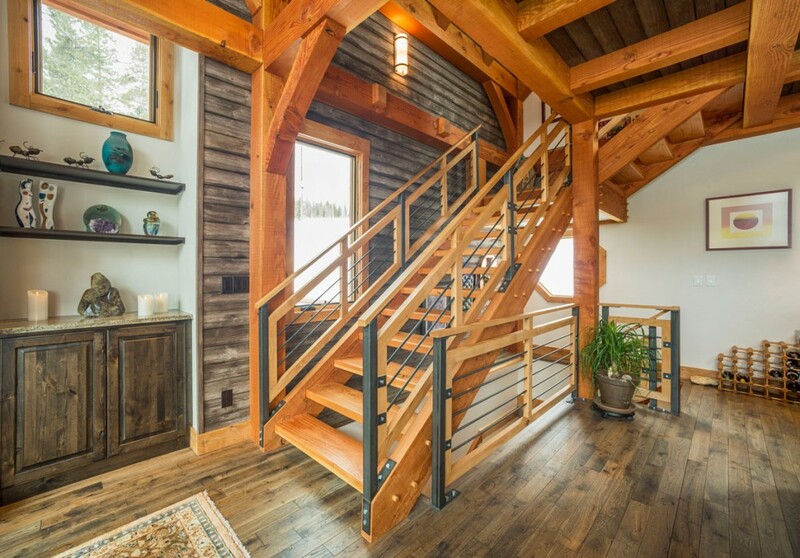 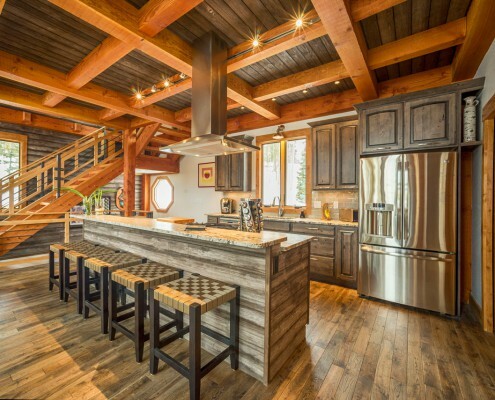 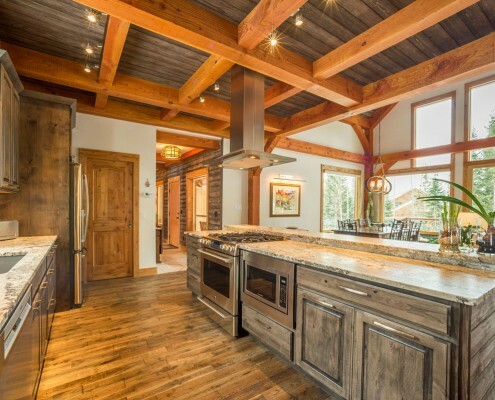 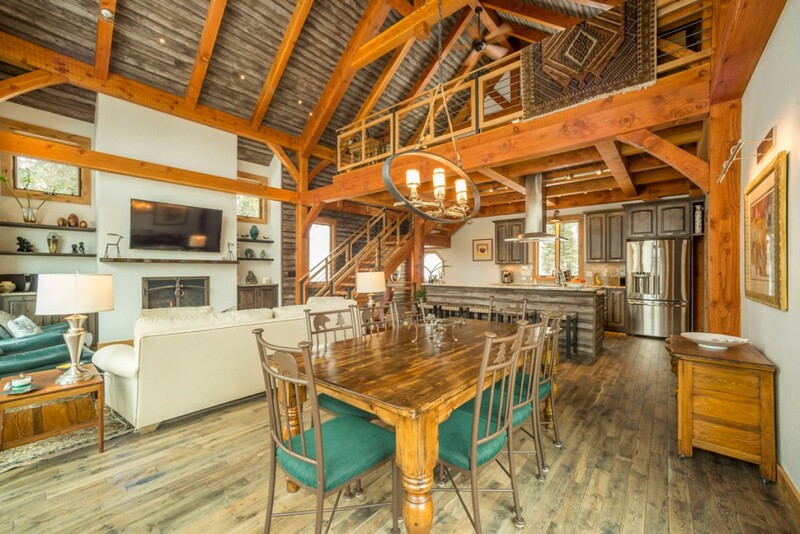 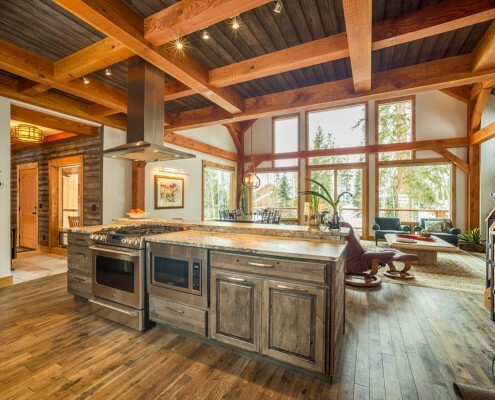 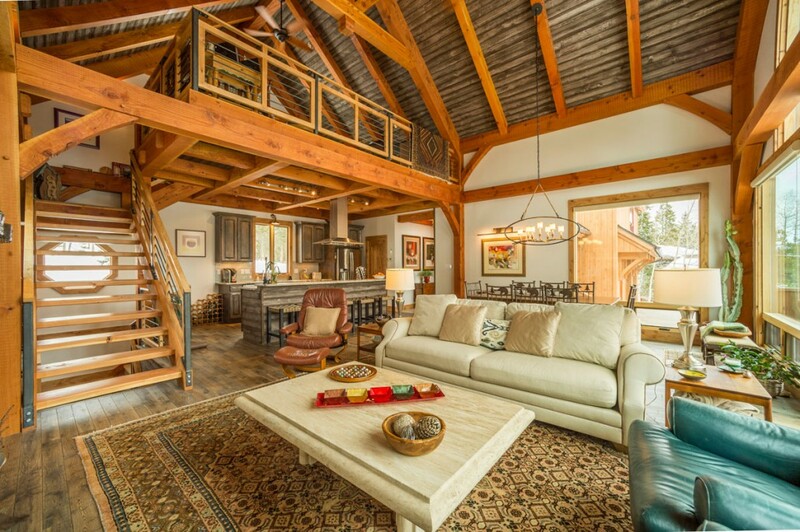 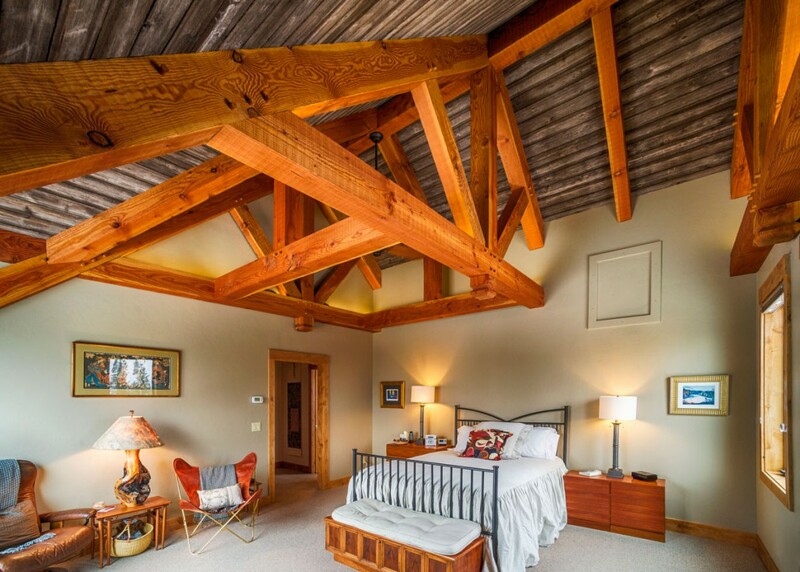 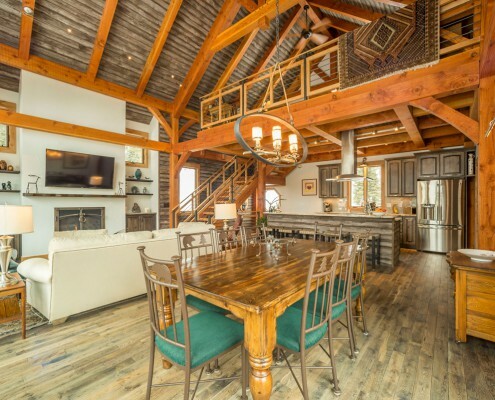 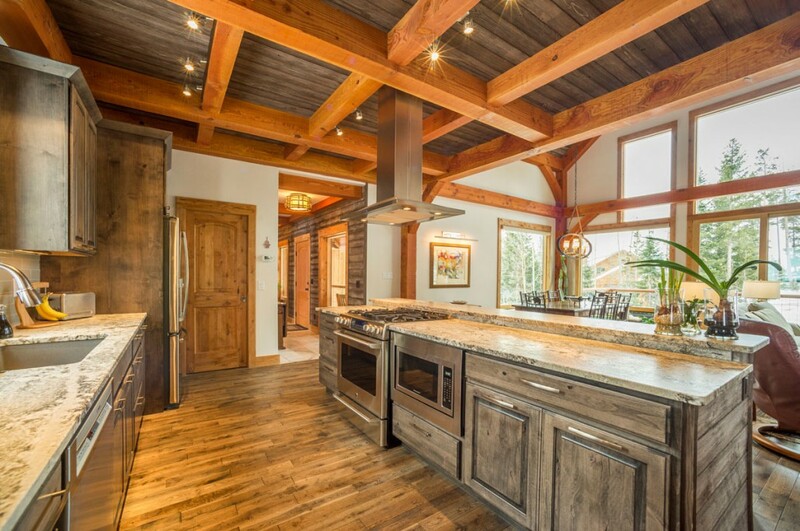 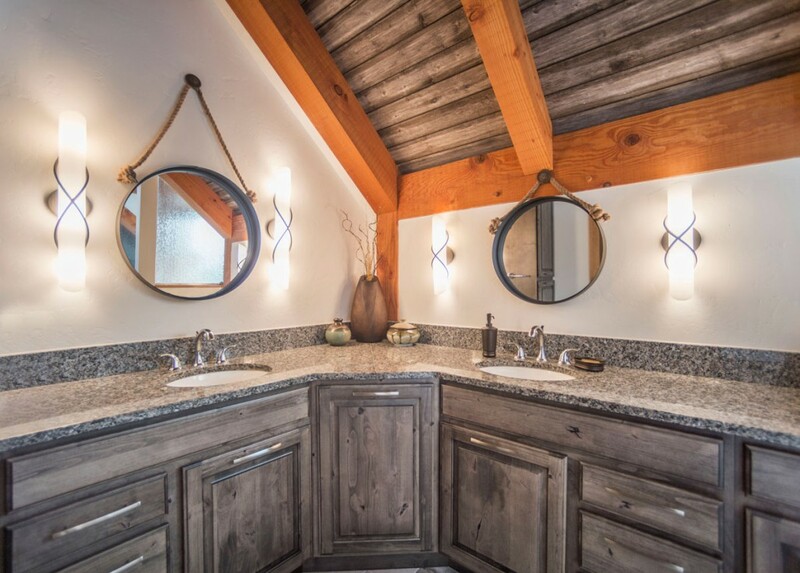 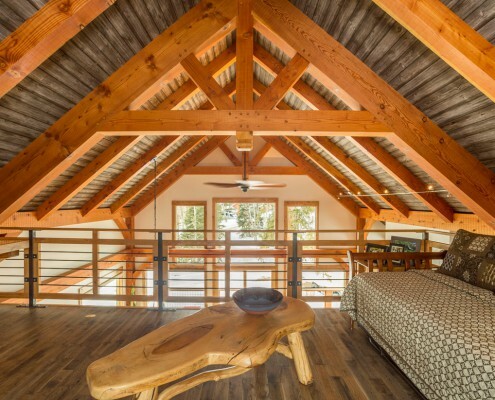 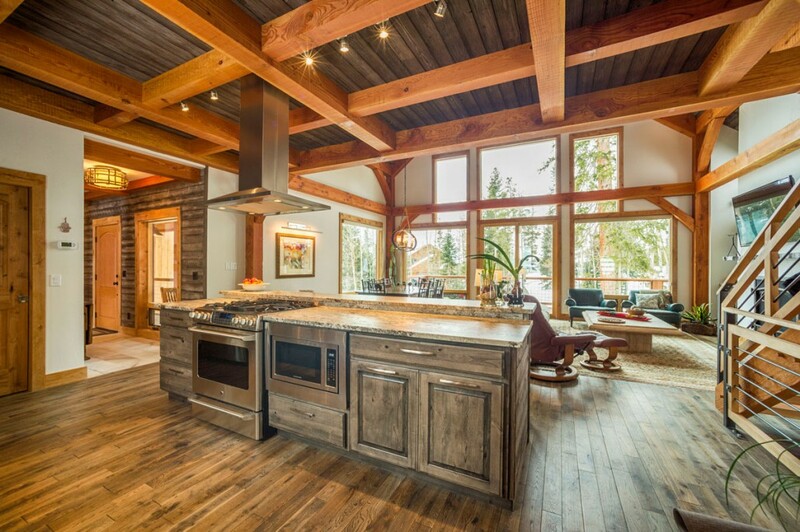 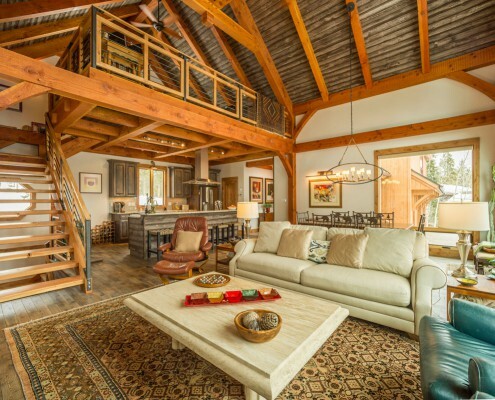 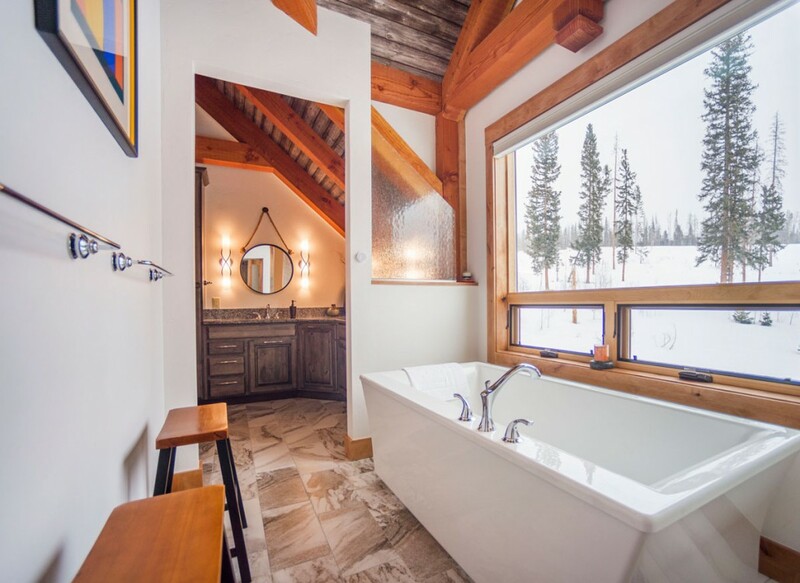 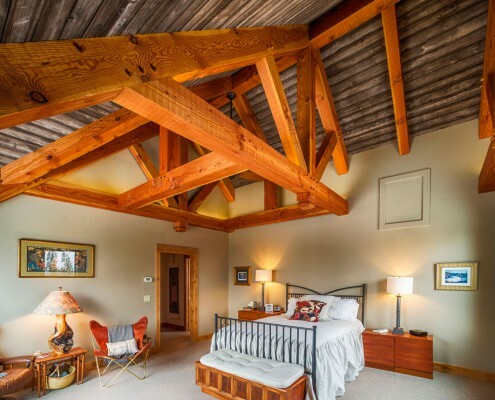 By choosing timber frame construction, they could incorporate the warm, natural elements they loved so much while keeping the design geometrical and contemporary. 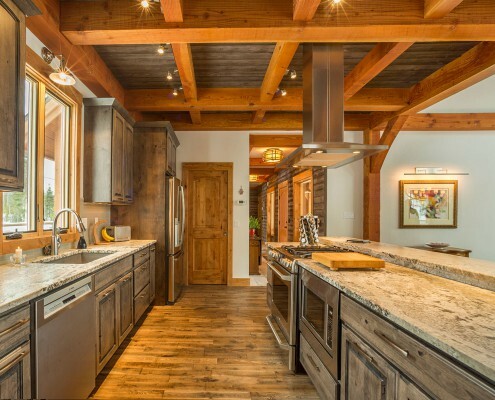 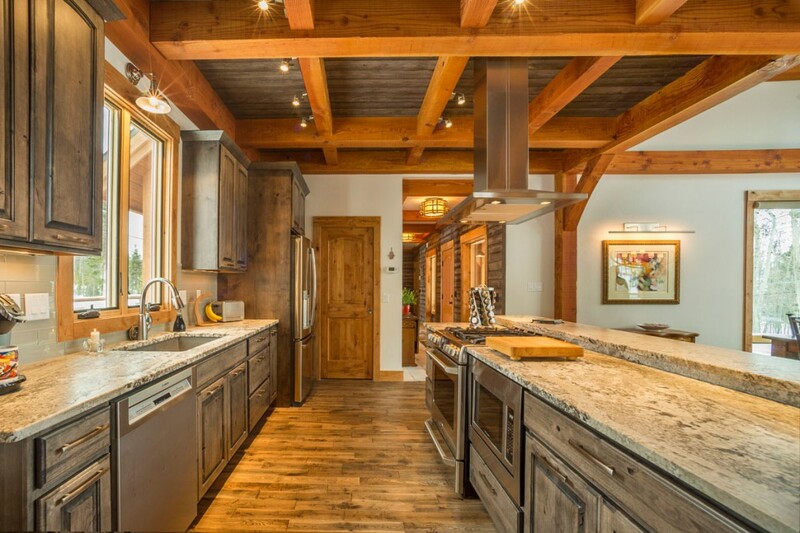 The Weinbergs chose to begin working with Colorado Timberframe on their nature inspired home because of the relationship they’d built with their COTF representative, Shawn Nohava. 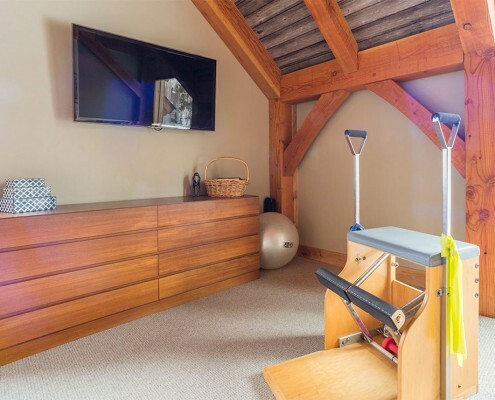 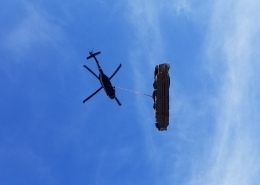 “There was an immediate sense of trust and honest communication throughout the whole process” – A. Weinberg. 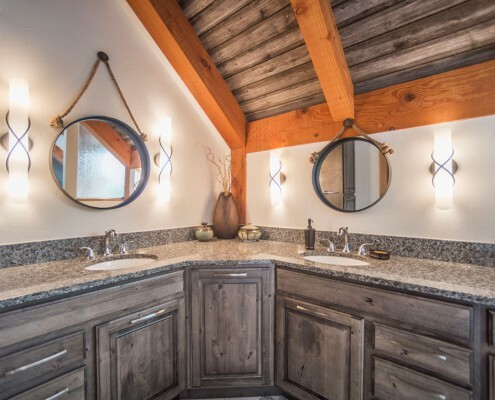 With a love for nature, the couple wished to incorporate the beauty of the forest surrounding their property into the design of their home and having lived in several homes, it was easy for the couple to communicate what their “must haves” were during the design process. 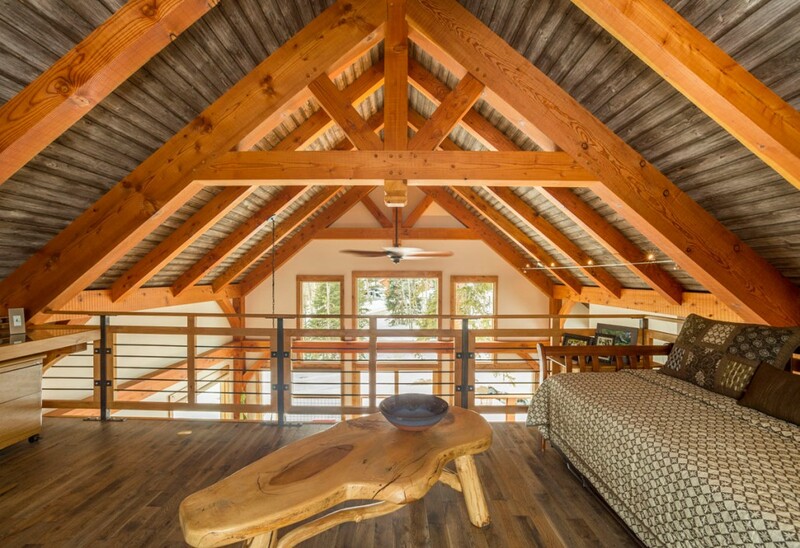 This would include utilizing the space above the garage for a private master suite separated from the rest of the home and oversized windows for maximizing the mountain views surrounding their property. 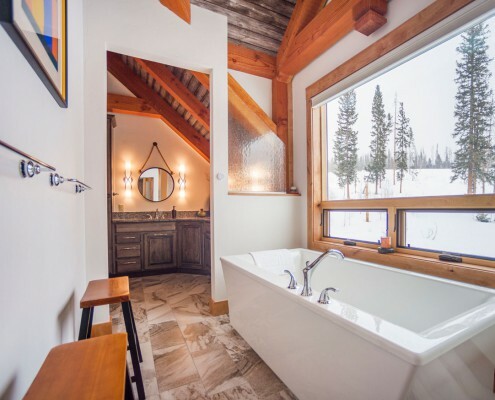 While large windows were essential, their home would also require enough wall space to exhibit all the artwork they’d collected over the years. 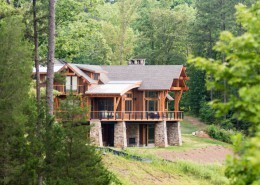 With the right team, the Weinbergs were able to achieve the perfect design to take advantage of their property’s unique characteristics and lifestyle needs.